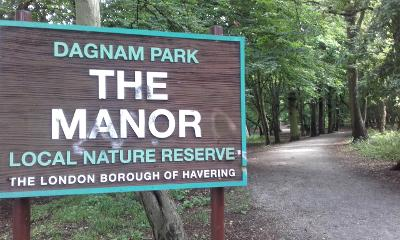 Join us for a guided walk to discover the human and natural history of Dagnam Park (The Manor). This walk is ideal for anyone interested in learning more about the environment of the area, especially the former Dagnam and Gooshays Estates as well as local wildlife. Much of the woodland route will be muddy after recent rainfall and suitable footwear is recommended. Thames Chase Guided Walks are in partnership with Land of the Fanns.